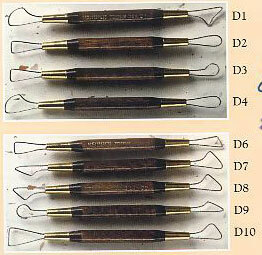 Wire-end tools are used to remove controlled amounts and shapes of clay. The ends are made from high-strength music wire and are firmly attached to the hardwood handles with brass ferrules. We are unable to get D10. * We are able to order D3-X for you. Our shipments usually arrive on Tuesdays and Thursdays around 11:00 am.